In simple terms, a photograph is a two dimensional representation of a three dimensional world. You can judge distance and size with your eyes quite easily and without thinking about it. These qualities are only apparent in a photograph through the relationship between the subject and its‘ surroundings. It is our challenge as photographers to create a sense of scale and depth in our photos by how we arrange the elements in our viewfinders. Scale is easily shown by including an element with a familiar size in your frame. When there is a person in your photo, the viewer can easily judge the size of the other elements in the frame because he knows how big a person is. 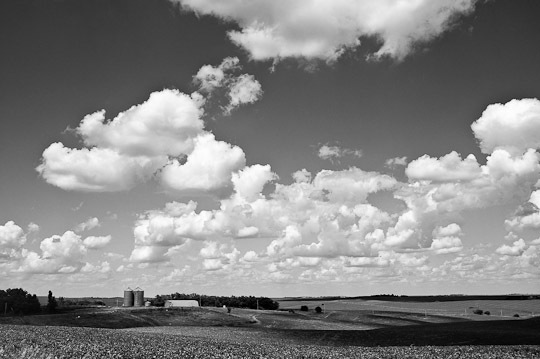 Including the barn and silos in the photo of the farm above helps to give the scene a sense of scale. Even if you don’t know exactly how big a barn and corn silos are, you know that if they look small in the picture the farm must be huge by comparison. Creating depth is very important in landscape photography. This is done by choosing an interesting foreground that leads the viewer into an interesting middle-ground, that finally leads to the beautiful background. A strong foreground element draws the viewer into the scene, and the main subject is often in the middle-ground or background. David Muench employs these techniques to great effect. 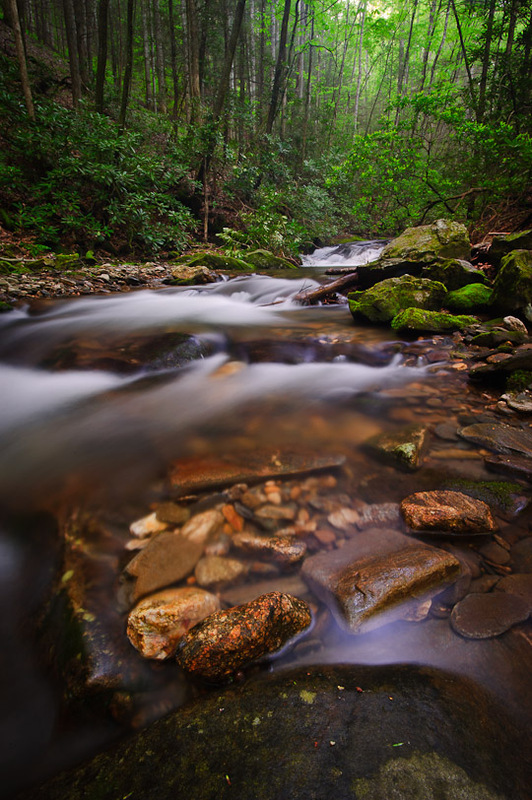 Be sure to use a wide-angle lens to maximize the sense of depth. Graduated neutral density filters or HDR techniques are required in many scenes to capture the wide dynamic rage between foreground and background elements, as the light falling on each my be quite different.